Imagine only working on your organizations goals and growth, and image reaching all of those goals. TRUST is all of Scaled Data’s IT management modules working in perfect harmony on our digital platform, Observation Deck, to bring you unrivaled IT solutions in-house and digitally. Call us today to find out more about TRUST and our complete IT management solutions. The Observation Deck Service Platform has 5 purpose built modules/programs. 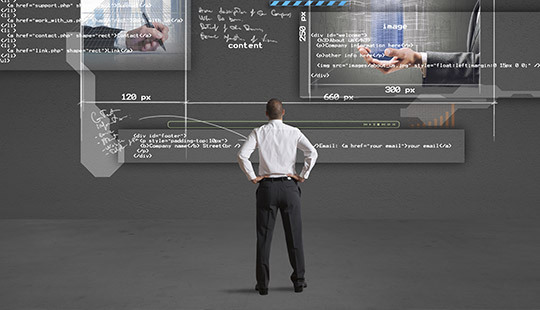 Independently, these programs can bring significant value to your IT organization. However, when combined into a single offering, it can be truly transformative. 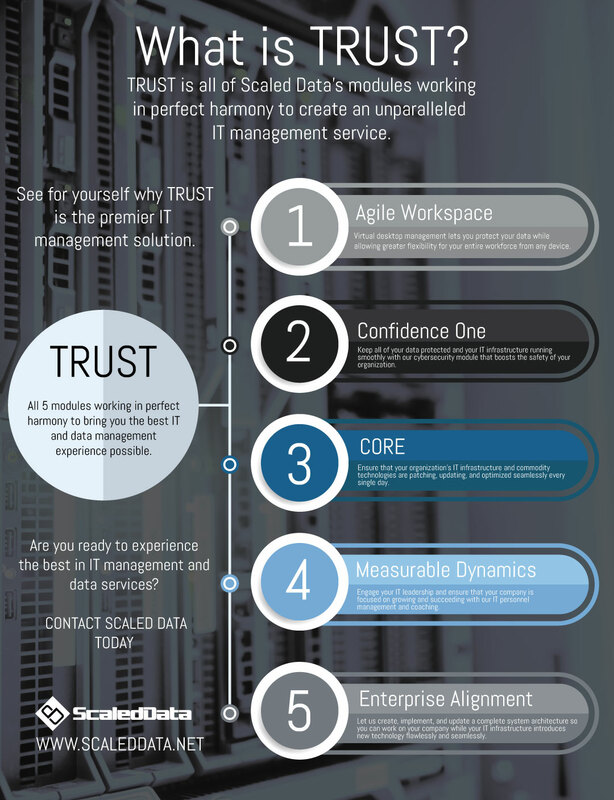 TRUST brings all the programs/modules into a fully managed IT solution. Let Scaled Data worry about all your technology while you focus on your business. TRUST is the collection of all of our services executing in perfect unity, working to help drive your business forward and aligning your technology with your organization’s goals. Apps ⋅ Data ⋅ Security – Simple. Complete. Reach out to Scaled Data to learn more about how TRUST can help your business thrive.